This continues on from the previous post. I just finished the second motif, done in traditional tatting and I just wanted to post about it straight away. The discussion is just getting going in the previous post and it's interesting as always. So here is the same motif, done the traditional way (always starting with the first half of the double stitch, whichever side you're on and only doing up joins - have I got that right??). 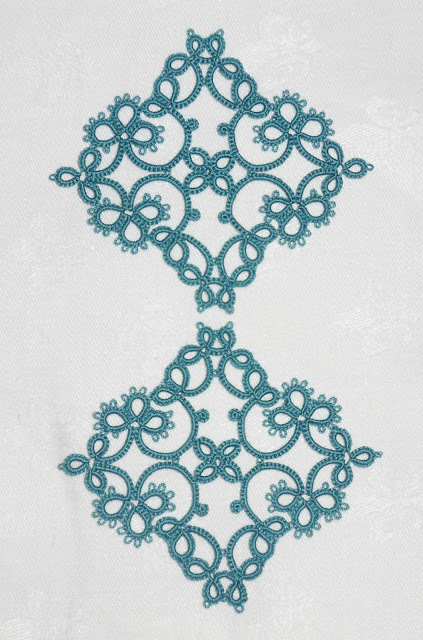 By the way, this is "Mixed Bouquet" from the book "A Pattern Book of Tatting"
And finally here are both motifs. Does this little experiment make it conclusive to any of you? If I look closely at a piece, I can tell the difference with front side/back side tatting. However, since I have a hard enough time following the patterns at times, I'm not sure I can handle keeping track of which side is which. Also, since I tat for my own pleasure, and I don't intend for any of my work to be judged by others, I'm willing to sacrifice perfection for the sake of my own sanity! For those who can keep track of what's what, I really do admire your work, and I know that it is far more polished than mine. Kudos to you! I do appreciate your pursuit of perfection! It's a lovely pattern,and you have done a lovely piece of tatting, I have been tatting forty one years and I have had a good look and can't see any difference, they look the same, I am sure someone is going to disagree I don't care, I can't see any difference, they look prefect to me. Good tatting should be the same both sides, well that was what I was told many years ago. 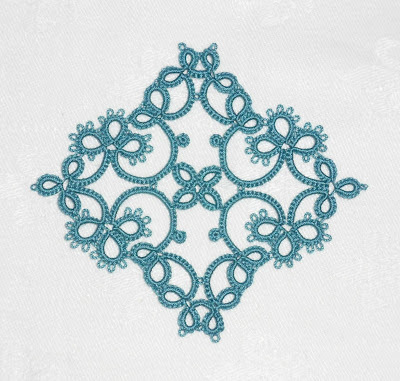 I do like your pursuit for the perfect piece of tatting and I think you have achieved it. Both pieces are of your usual high standard, and there is not much difference between them. I would venture the comment that this particular motif may not have been a fair test of fs/bs versus traditional because there are not a lot of joins and picots made on the backside. At first glance, the line of stitch caps seems unbroken in all parts of the piece. Had there been trefoils with picots worked on the backside in traditional tatting, along with multiple picots and/or joins in the chains, I think that the differences would have been more apparent. The final choice really depends on how the individual tatter relates to her/his work. For me, the endless repetition of half hitches would be absolutely tedious, were it not for the interest created by complex patterns, advanced techniques, and attention to detail. 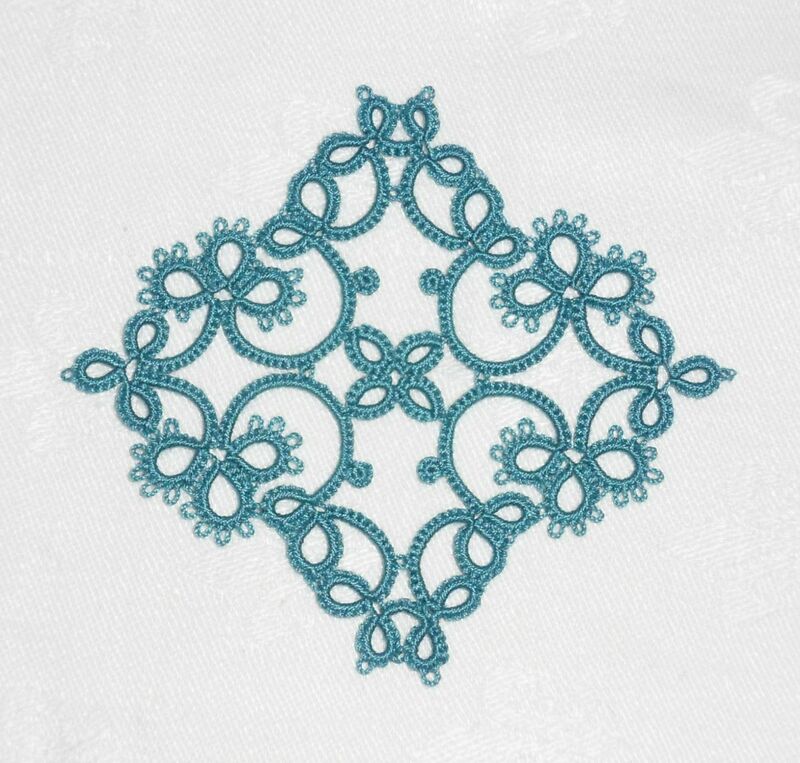 For others, tatting is a means of relaxation and is more pleasurable if the flow is kept uncomplicated. It will all settle out in the end. For now, many of us are riding the high of cyber connectivity and the marvellous learning opportunities afforded by technology. Excellent photo and video tutorials are available; so we attempt to master all kinds of new tricks that we would never have thought of on our own. Through the generosity of many tatters, there are lots of patterns to try that implement the new tricks and techniques. Once those of us who rejoice in complexity have had our fill of all the new possibilities, it is very likely that we will return to our 'core' Mary Konior library, or Jane E's very simple edging, with a huge sigh of relief. I'll be interested to see what you decide to do! Suzanne, I think your second paragraph here is very insightful. I've never thought about it in quite that way, but you are absolutely right. That is exactly why different people prefer tatting in different ways. And because of that, I don't think that there will ever come a time when there is a "right" way and a "wrong" way to tat. Thank goodness for variety! I totally agree with you Miranda. I always find the discussions interesting but in the end, what matters is that you enjoy your own tatting! I'm not at all suggesting one way is better than another, just exploring the possibilities. I wish everyone much pleasure with their own tatting! We're all different and that's great. That's an interesting point Suzanne. I suppose I'm a bit of both myself. Sometimes I want a challenge and the very best tatting I can produce and sometimes I just feel like tatting something relaxing and easy. This will usually guide my choice of pattern though I always strive for evenness and consistency in my stitches, whatever method I'm using. 'I always strive for evenness and consistency in my stitches' This comment made me smile because I'm not sure that it is possible for those of us who enjoy the pursuit of perfection to tat sloppily. For example, the beginning spinner produces slubby thick and thin yarn, until she gets the hang of feeding the roving to the wheel. Later in her spinning career, when she has mastered the intricacies of feed and ply, she will have the devil of a time producing 'thick and thin' for a warm casual pullover. There is no going back! I wonder how often the person receiving the tatting can tell the difference. Does fs/bs tatting mean you are forever destined to walk into your friend's home and see your gift upside down...or is it inside out? Victats, you made me laugh! This is something I think about when I'm making tatting to give away. But the bottom line is, my tatting should first and foremost please me. 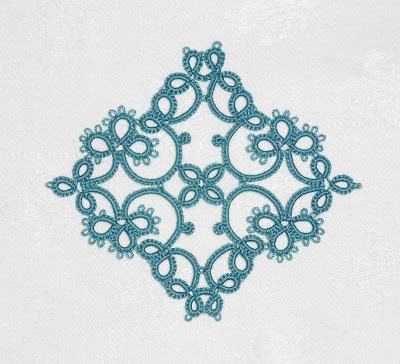 So if I enjoy seeing all my joins and picots look the same, then I will continue doing fs/bs tatting and not worry about whether someone else will display it upside down and backwards. 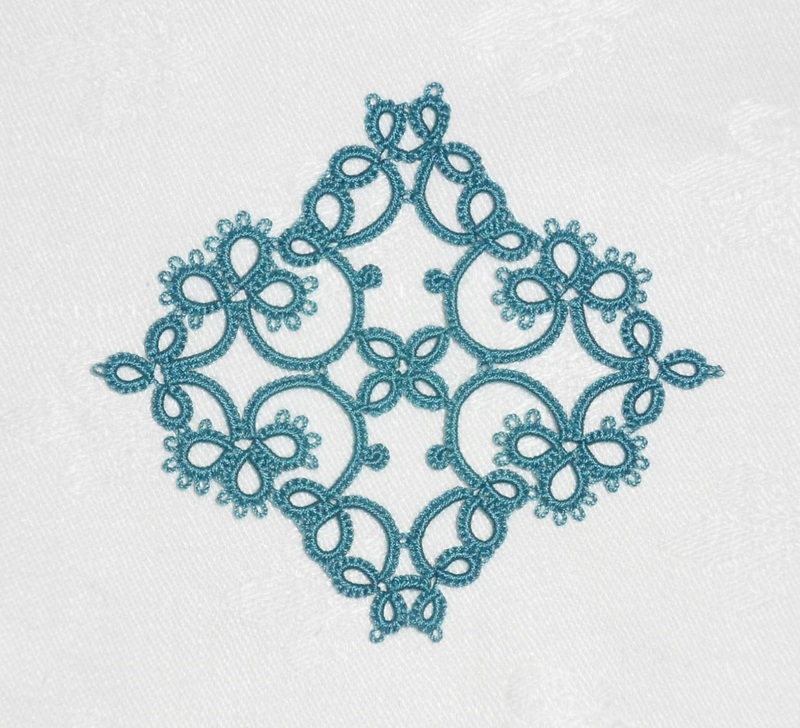 If you prefer to just keep the flow of stitches going, then stick with traditional tatting because that's what pleases you. Of course, if you have a friend who really appreciates tatting and enjoys receiving it, you can always educate them about how to tell front from back! First of all, your rendition of this piece is, as always, flawless. I tat for pleasure. My work is full of mistakes, oops! moments, dang! moments, a ds less here and a ds more there and of course, tons of knots because I'd rather cut and tie than [gasp!] try to open a closed ring and I'm too lazy to hide ends. IMHO, it's more about fun in learning; it's more about giving my finished pieces away and enjoying the joy of whoever receives it. Having said that, I take my hat off to perfectionists who can tell the front from the back in tatting. Karen, eres muy humilde amiga. Te honra, pero la realidad es que tus trabajos son tambien muy buenos. Eres trabajadora incansable, y además, compartes muchas tecnicas que son de gran ayuda para casi todas las frivoliteras, incluso, seguramente alguna experta. Gracias por todos tus saberes.